3rd PARTY LOGISTICS GROUP, Inc.
3rd PARTY LOGISTICS GROUP, INC. (3PLG) is a third party logistics provider offering outsourcing for traditional distribution services and reverse logistics solutions. Our reputation is built upon providing a quality, consistent, cost-effective service to clients in need of fulfillment services. 3PLG provides such outsourcing by reason of it's experience in staffing, training, supervising of such warehouse distribution services. Our pricinpals know the technology, have access to staff, knowledge of staffing and the operation and supply chain of customers, and are innovative. These are the most important qualities required for successful warehousing according to a recent presentation given by the International Warehouse Logistics Association, a major trade association. Located in Blautvelt NY, we have a 'state of the art' warehouse and experienced staff to offer exceptional distribution and reverse logistics services. 3PLG ensures precision in tracking, monitoring and complaince by using innovative management techniques and software. 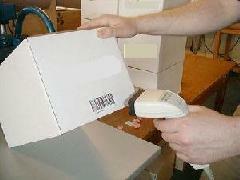 This allows our customers to always have current, accurate information about their inventory.